Mountain Lodge is situated on a hill top high above the historic Gwrych Castle, a 19th century Gothic folly in Abergele, North Wales. 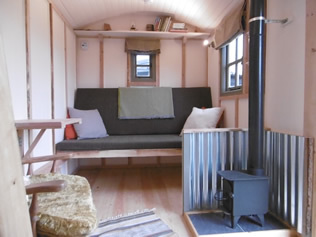 It is a truly unique setting surrounded by woodland and with panoramic views of the Carneddau mountain range in the Snowdonia National Park. 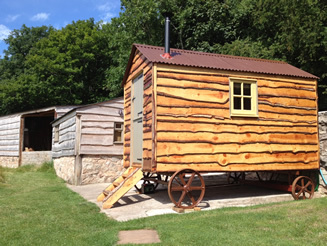 We have some unusual places to stay here at Mountain lodge; in one location we have two Shepherds Huts with a Stable and Barn and right down at the far end of another field in a secluded spot is a renovated Stone Hut. Please click on the relevant links to find out more. Mountain Lodge is blessed with an abundance of nature and wildlife, during the daytime you will see buzzards strolling the skies and at dusk you may see bats flying around in search of insects. A lake in the adjacent field is home to wild duck and geese and you will often hear the birds ‘chattering’ during the night. 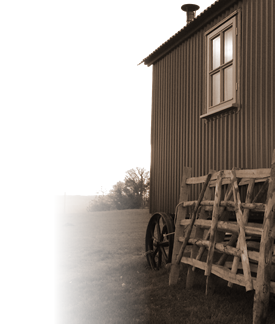 With wonderful walks in Snowdonia and great beaches in Anglesey, we are conveniently located to explore the rich scenery and heritage of North Wales. For keen cyclists there are excellent off road and road trails including the coastal cycle path which is about 2 miles away. 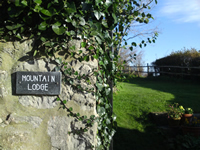 Whatever you would like to do we can help you to make the most of your stay with us at Mountain Lodge. 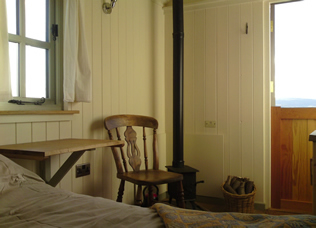 The huts are available for booking all year round.